Nena is huge in her home country of Germany and since the release of her self-titled debut album - which achieved 6x Platinum in Germany - she has released another 23 albums including compilations and live albums. 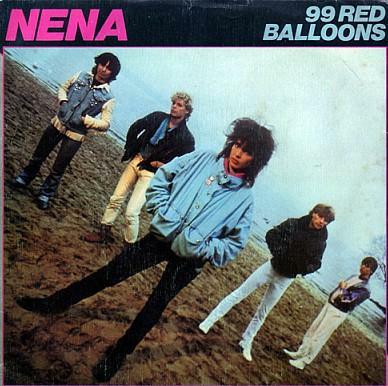 99 Red Balloons (the English version of 99 Luftballons which was a big hit across Europe and also on the Billboard Hot 100) is about the toy balloons floating into the air from West to Communistic East Germany triggering an apocalyptic over-reaction by the military. 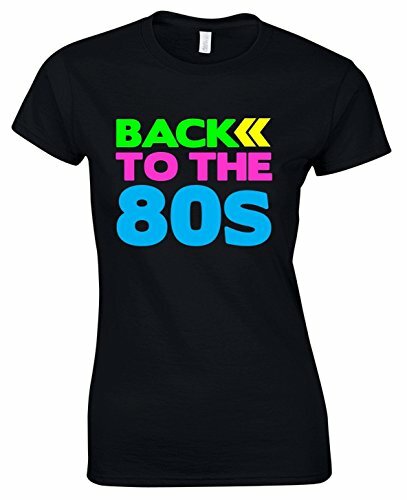 To those of us still at school it was just a catchy pop song that was great for dancing to at the school disco - it was also played a lot on the Youth Club jukebox! In the UK, during its fifth week in the charts, the song knocked Frankie's "Relax" from the top spot on 26th February 1984 and remained on top for three weeks. 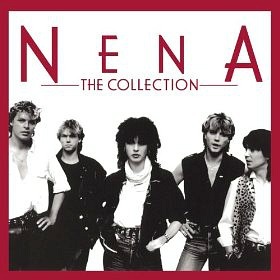 Nena as a band split-up during 1987, but the name was used by their lead singer, Gabriele Kerner, for her solo career which has been very successful in Germany and Austria. The video above features Nena performing on Top Of The Pops which aired on BBC1 in the UK - you'll notice a band member with a red keytar - so very 80s! In American and Australia, the record-buying public much preferred the German version, which became a very successful non-English language song, reaching No.1 in both countries. However, in Canada, Ireland and, of course, the UK, it was the later English version that became a hit. 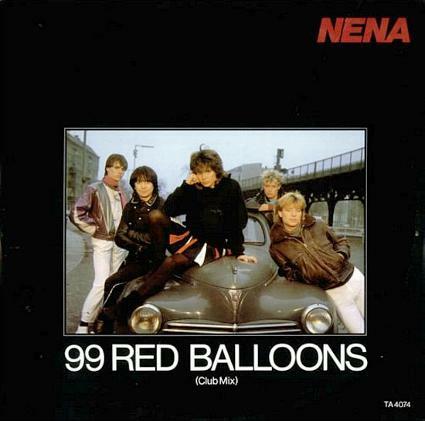 In 1985, "99 Red Balloons" was covered by a hard punk band called 7 Seconds, and the track featured on their album "Walk Together, Rock Together". One of the most recent covers I know of was by Kylie Minogue. It has never been released as a track, but she sang the track during her Kylie Summer 2015 Tour at the Melt! open air electronic music festival in Germany.